An increasing number of homeowners are looking beyond comfort from their heating and cooling systems as the information about air health becomes more wide-known and technology improves to solve the air quality problems. One of the biggest advances offered by Homesense is an effective way to sample and test your home’s air quality to understand what issues, largely undetectable otherwise, your home has. 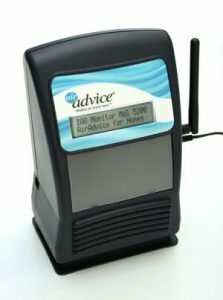 “The advanced technology has now become available to home owners through a system like Air Advice Indoor Air Analysis, which will show realtime information about how polluted home air might be. Before this technology, it was largely guesswork by homeowners and air quality professionals,” Schutt says. With a simple testing process, taking 30-60 minutes, the Homesense team is giving peace of mind to homeowners who are concerned about their family’s health. “Knowing that Central Indiana is in the Top 10 of airborne particulate pollution, with indoor air being up to five times more polluted than outdoor air, health conscious homeowners are demanding to know the details about their air quality in the same way they’d get a blood test during an annual physical,” Schutt adds. For Haven readers, Homesense has agreed to provide this test at no charge during the month of March. Call Homesense today at 317-670-0171 for your free air quality test.